A room card key is required to use the elevators. 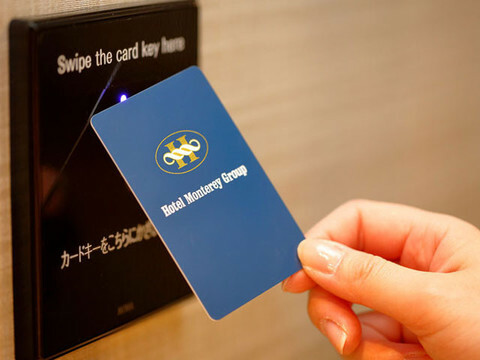 Guests can activate the elevators by touching their room card key on the card reader located by the side of the elevator. "handy" is the complimentary smartphone, equipped in all guest rooms.Just a simple setting, "handy" allows the hotel guests to enjoy, in and outside of the hotel, unlimited internet access, room-to-room calls, free local & international calls (to 6 countries), and comprehensive City Guide.